►Sari Bashi (pictured left) completed a 216 kilometer (134 mile) ultramarathon in May, becoming the first woman to run that distance in Israel. News coverage of the event described the connection between her work at Gisha promoting freedom of movement in Gaza and long, long distance running. ►Christine Bell (pictured right) has moved from the Transitional Justice Institute, University of Ulster, to become Professor of Constitutional Law at the School of Law of the University of Edinburgh. Christine is in the process of establishing a Global Justice Academy in the University. 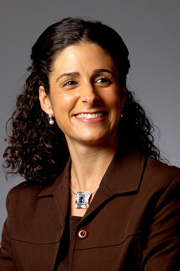 ►Fiona de Londras has been appointed Professor of Law in Durham Law School, taking up her Chair on September 1, 2012. ►Anna Dolidze will be teaching as a visiting assistant professor of law at the University of Western Ontario in Canada, where she will teach two courses: public international law and property, law and development. 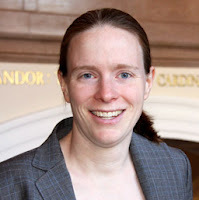 ►Yvonne Dutton will start a tenure-track position as an Associate Professor of Law at Indiana University Robert H. McKinney School of Law in August 2012. ►Jean Galbraith (pictured left) will be joining the law school at Rutgers-Camden as a Visiting Assistant Professor of Law in the fall 2012 semester, becoming a tenure-track Assistant Professor in the spring of 2013. ►Chiara Giorgetti joined the faculty of Richmond Law School as an Assistant Professor of Law effective June 1, 2012. ►Joanna Cuevas Ingram (pictured right) was recently awarded a 2012-2014 Equal Justice Works Fellowship at the Lawyers' Committee for Civil Rights in San Francisco, working on voting rights. She published her first law review article, "The Color of Change: Voting Rights in the 21st Century and the California Voting Rights Act," in the Harvard Latino Law Review this June. ►Neha Jain (pictured left) will be joining the University of Minnesota Law School as an Associate Professor this summer. ►Elise Keppler has published a new piece, "Managing Setbacks for the International Criminal Court in Africa," in the Journal of African Law. ►Lisa LaPlante was appointed as interim director of the Thomas J. Dodd Research Center at the University of Connecticut where she will institute the Center's programmatic work on human rights. ►In November 2011, Yvonne McDermott was appointed Lecturer in Law at Bangor University in Wales. ►Bonita Meyersfeld (pictured right) has been appointed as the new Director of the Centre for Applied Legal Studies at the Olive Schreiner School of Law at the University of the Witwatersrand in Johannesburg, South Africa. ►Chi Mgbako (pictured left) received the 2012 'Public Interest Professor of the Year Award' at Fordham Law School and was named to the National Law Journal's 2011 list of 'Top 40 Minority Lawyers Under 40' for her direction of the Walter Leitner International Human Rights Clinic at Fordham Law School. ►Valerie Oosterveld has been granted tenure and will become an Associate Professor at the University of Western Ontario Faculty of Law effective July 1, 2012. 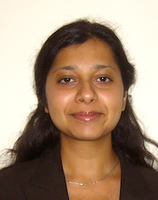 ►Jaya Ramji-Nogales has been granted tenure at the Temple University Beasley School of Law effective July 1, 2012. ►Lucy Reed (pictured left), co-head of Freshfields’ global international arbitration group, has relocated from New York to Hong Kong. ►Susan Harris Rimmer is now Manager of Advocacy and Development Practice at the Australian Council For International Development and still serves as a visiting fellow at Australian National University. ►Milena Sterio has been awarded a Fulbright Award to teach and conduct research at the Baku State University in Azerbaijan in the spring of 2013, and promises to blog about her experiences there. 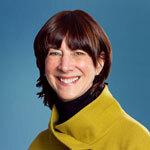 ►Shana Tabak will join American University's International Human Rights Clinic as Practitioner-In-Residence in the fall of 2012. ►Susan Tiefenbrun has published two new books: Tax-Free Trade Zones of the World and in the United States and Women's International and Comparative Human Rights. She is also celebrating the 20th anniversary of the international law study abroad program in Nice, France, which she founded in 1993 and continues to direct. ►Jenia Iontcheva Turner (pictured right) has been promoted from Associate Professor to Full Professor at Southern Methodist University.